Available on Modern Guilt and 1 other release. One of the singles off of Modern Guilt, "Youthless" is a mysterious mix of grooves and weariness, of nostalgia and new, of Danger Mouse and Beck. While I was reading some reviews of Modern Guilt, I couldn't help but notice that the reviewers were all a bit baffled by "Youthless." Some compared it to Guero with its video game beats, others said it sounded like Midnite Vultures without the soulful vocals, one compared it to Information. In the end, I find all these comparisons a bit lazy, but indicative of the classic Beck style the song leans up against. Lyrically, "Youthless" is one of Beck's more metaphor-packed songs. The two verses do provide a nice parallel to each other, and as I've been thinking about this song to write about it here, I realized it may be one of Beck's more underrated lyrics. That doesn't mean I fully grasp it, far from it, but I find the lack of grasp intriguing (which isn't always the case). I take the opening lines of each verse to be the keys of the song: "There's a bottomless pit that we've been climbing from / Just to get on level ground" and "There's a million horses dragging down a monolith / My trademarks so bereaved." These two lines mirror each other (one climbing up out of a pit, the other tearing down), both referring to the huge task of returning to normalcy after some sort of crash. With the lines, Beck is saying that his normal self (ie., "trademark") has been lost; it is impossible to return to it. The remainder of the first verse looks at this despair, by utilizing a number of references to older Beck songs. (To be fair, I don't think Beck was intentionally referencing his older songs; he doesn't write like that, it just happens sometimes.) Anyway, from that bottomless pit, he notes his "seasick legs", lack of "signs of life," being weary, the deadweight feeling of despair, static lulling him to sleep. These images feel like he's giving up, or can no longer continue. While the first verse looked at the effect of despair, the second takes a more existential look at himself. Absurdity abounds, which has ties to existentialism. For instance, he "ties his leg to a barricade with a plastic hand grenade." Later, he needs a "teleprompter for my life / need a pipeline to the night." He needs to feel alive. He needs a connection, to communicate to the world, and he assumes that once he climbs out of that bottomless pit to level ground, he'll find it again. That's the hope anyway, to be reanimated. This could be the existential struggle of "Youthless." Here he refers to turning "emotion into noise" and "needs a teleprompter for my life" and all the weariness. In the chorus of the song, Beck writes that "they're helpless and forgetting / in the background, holding nothing / they're youthless and pretending / with their bare hands holding nothing." These are not good words: helpless, forgetting, in the background, youthless, pretending. I was struggling to figure out who or what the chorus was referring to but perhaps it is related to the fast-moving sea of faces and schedules. His struggle to find a connection in that quote mirrors the struggle to find his way out of the bottomless pit in "Youthless." Also quite interesting to note that in the late '80s, Beck and his brother Channing created their own poetry zine. (What were you doing as a kid, huh?) They named their magazine Youthless. The song though doesn't seem to be overly nostalgiac in any way, or about childhood particularly, just that Beck used the word again, 20 years later. Beck also released an acoustic version of the track, recorded live in a studio. 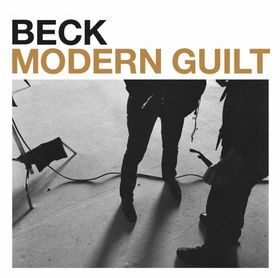 It was part of a beck.com release as he and his live band recorded acoustic versions of every song on Modern Guilt. Their "Youthless" is led by the stand-up bass, and is otherwise very minimal and a little bit jazzy. Beck played "Youthless" throughout his Modern Guilt tours of 2008-2009, though it was one of the songs he would occasionally drop from the setlist. There's not a lot to say about it, it sounds like the record except with live drums and his band sang some backup vocals.